You are here: Home > MCSD News & Alerts > MCSD News & Alerts > CMS News > Blue Out Day – April 20th! – Wear Blue for Muscatine Children! April is Child Abuse Prevention and Awareness Month. 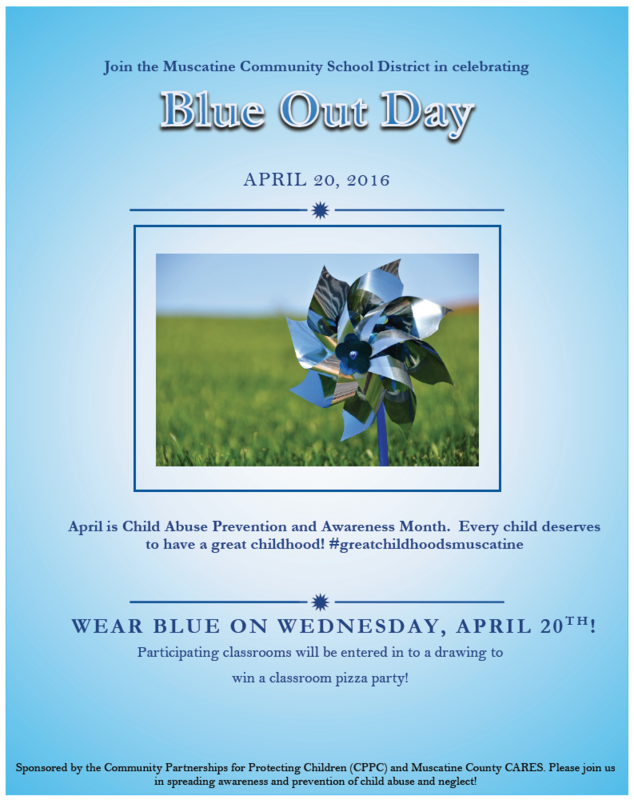 Students, families, and organizations are asked to participate by wearing blue on April 20th! 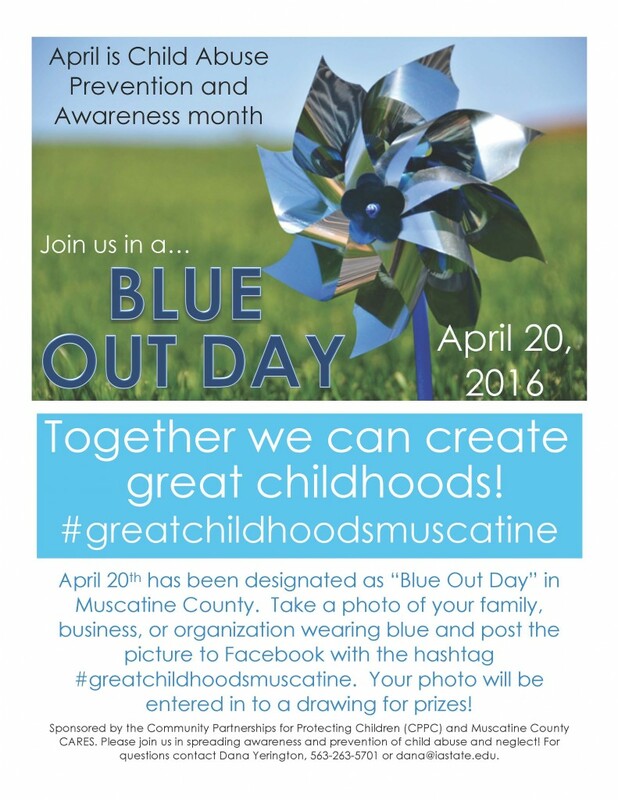 Take a photo of your family, students, and organizations and post on Facebook using the hashtag #greatchildhoodsmuscatine. Your photo will be entered in a drawing for prizes!